PARIS (AFP) - Finland has produced a long line of great Rally drivers but never one quite with the pedigree or potential of 2007 Formula One world champion Kimi Raikkonen. The 30-year-old former McLaren and Ferrari driver, known as the 'Iceman', has opted to forego the massive wages on offer on the Formula One circuit to have a tilt at capturing the world rally title this season - the first leg gets under way in Sweden next Thursday. It is a decision the impassive unemotional Finn - though his readiness for laughs extends to competing in a powerboat race dressed as a gorilla under the pseudonym James Hunt in honour of the late Formula One champion (gaining his team the award for best dressed group) - is not regretting making. "This is a different challenge," conceded Raikkonen, whose older brother Rami is a rally driver, when the pilots came together for a press conference in Paris earlier this week. "To be frank I am more interested in this than Formula One. 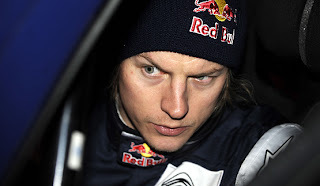 Even when I was testing my Formula One car I never paid any interest to the times of the other drivers," added Raikkonen, who will be racing for the Citroen Junior team. Raikkonen, who was released by Ferrari at the end of last season and replaced by Fernando Alonso despite a year remaining on his contract, said he preferred the atmosphere and camaraderie around the Rally paddock to Formula One. "This is very nice and more open than in Formula One," said Raikkonen, who had 18 wins in 156 starts in Grands Prix with his first coming in the 2003 Malaysian Grand Prix. "The teams are more friendly with each other. It's great. "It (the Rally stables) is very small. The people are closer in terms of personal relationships. 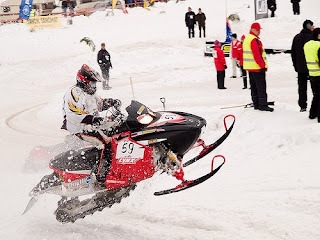 "Of course the challenge is different as in Formula One you are racing against each other, whereas in Rallying it is racing against the clock," added Raikkonen, who has raced in one previous leg of the series, the 2009 Rally of Finland, which he failed to finish. Raikkonen, who had an offer from McLaren which broke down over financial terms and didn't fancy a move to Toyota, admitted he didn't expect to make an immediate impact. "Everything is new. I don't know the places or the stages," he confessed. "It's always exciting. You have to learn everything, gain experience and in all sorts of conditions. Also writing the notes on each stage and the direction to take is extremely important. "I am learning from zero. With the notes, you have to write them so you can understand them. If they are not legible you make mistakes." Raikkonen, who when he first joined Ferrari replacing seven-times champion Michael Schumacher was on 51million dollars a year, also was at pains to downplay the rumours that this year was a means of breaking him in so he could step up and be six-time champion Sebastien Loeb's team-mate. "There are always stories like that. I just want to learn and we'll see what happens," he said. 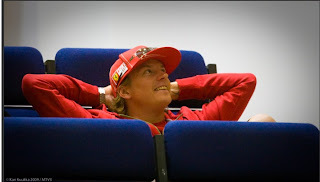 Raikkonen also insisted that thoughts of him winning the title were overly ambitious. "It would be great to win but let's wait and see what happens," he said. "I don't really know what to expect, I want to get into the points first and later in the season we can work on getting the car to go faster."